A serious hunter’s work is never done. 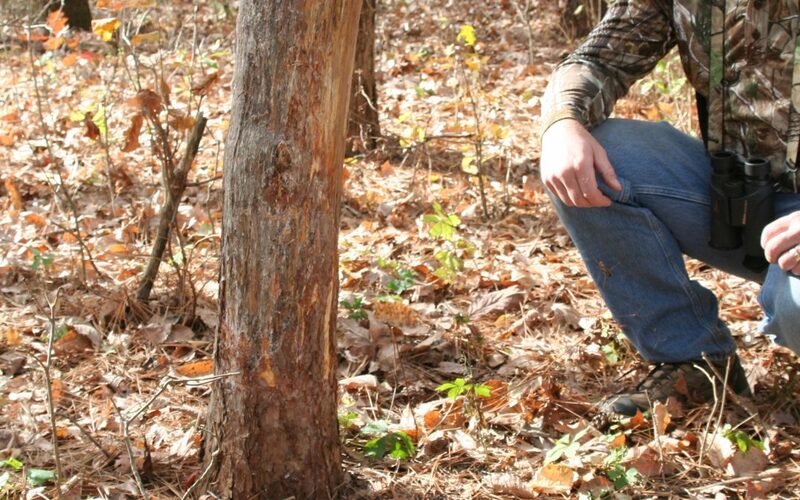 Springtime is one of the best times of the year to get out in the woods and learn some things about your hunting area that you couldn’t learn at any other time of the year. Springtime is not just for fishing and turkey hunting. Serious whitetail hunters crave opportunities to learn more about whitetails year-‘round, and I’m one of them. Those first nice days of spring when the snow melts off and the woods are coming alive with life once again are great times to get out to the properties you hunt and look them over. You will be surprised at what you will learn. Here are six reasons I like prospecting for bucks in the springtime. Spring scouting helps me learn how deer use terrain features. During the fall, leaves are dropping, which covers up a lot of the sign. Trails that are indistinct during the late summer and fall are glaringly obvious during the spring before plant growth is working against you. Deer tend to follow the same terrain features generation after generation, and the springtime is the best time to get out there and see where the well-worn trails are found. You will not only learn things about their travel patterns on that particular property, but you will learn things about how deer use the topography and terrain that will help you diagnose the movement on other properties. 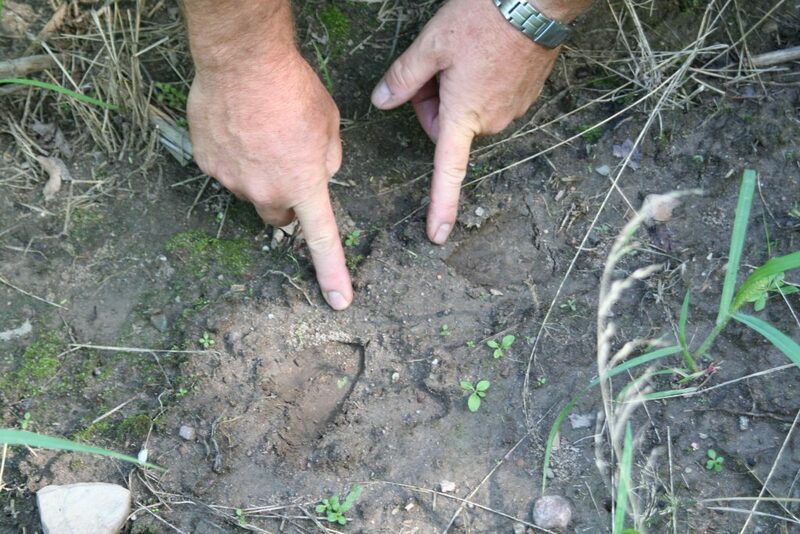 Scrapes, rubs and other rut sign is still there and easy to see. Now is the time to spend analyzing how the rubs are laid out in a specific pattern. In the fall, you walk right by them because you want to spend your time hunting. In the spring, you can really work the puzzle out. Take note of which side of the tree they are on and see if several rubs line up with the markings on the same side of the tree. You have just found a buck’s travel way. Signpost rubs and groupings of scrapes show you where a buck spends a lot of his time. Collections of several rubs in one small area may indicate a preferred bedding area. 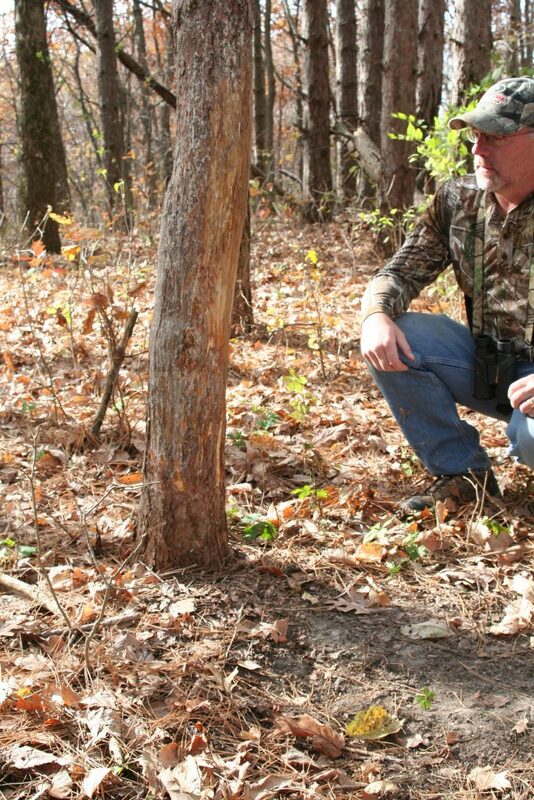 Bucks tend to rub a few trees when they rise from their beds in the afternoon, and their sanctuaries will often have several dozen rubs in less than an acre. A spot like this could be a gold mine come fall. In the spring, you can walk right into the bedding areas and sanctuaries without worry about damaging your hunting prospects. You would never walk right into the deer’s bedding area during the hunting season for fear of moving the bucks entirely out of the area. No such worry in the spring because your intrusion will be long forgotten by the season. Wade right in and look it over good. Make some improvements by hinging a couple trees and piling up brush. I know one hunter who carries a bag of grass seed and seeds good bedding cover as he scouts these areas. 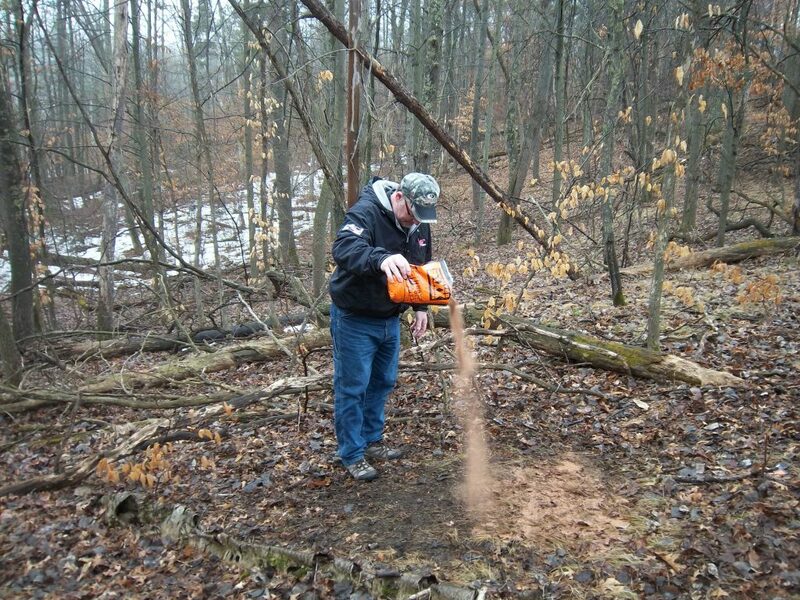 Combine your scouting with shed antler hunting. Keep in mind that the place a buck drops his antlers may have little to do with his fall patterns, because his winter patterns revolve around food, whereas the fall patterns revolve more around interactions with does and other bucks. But picking up shed is fun and it allows you to get an idea which bucks made it through the winter. Spring is the time to put out mineral licks. I put out mineral as soon as the show is off the ground and the deer use the mineral licks all through the spring and summer. The mineral not only offers the deer healthy diet enhancement, but it allows you to inventory the deer with trail cameras placed at these mineral sites. One good mineral lick maintained regularly should be on each piece of property, and for large properties over 300 acres, two sites is even better. Once you have found great looking places to hunt with lots of deer activity, put up some treestands. Putting up stands and trimming shooting lanes in the spring offers the chance to spend the necessary time in the woods without the worry of leaving human scent all over the area. By putting up stands early, there is plenty of time for the scent intrusion to dissipate. Your cuttings, tracks, trimmings and markings are long forgotten by fall. You may have found a place that will be a great hunting location year after year, now is the time to get a stand in position and take advantage of it. So take some time out from fishing or turkey hunting this spring and get into the woods. The work you do now might make the difference between holding a nice buck in a photograph versus holding an unfilled tag come next fall.